From the southern tip of the Andes to the mouth of the Rio Grande, soaring consumption has spurred an increasingly complex network of transport, processing, and distribution centers. And I’m not talking about drugs. Latin America’s thirst for natural gas has left the region in need of a serious fix, following years of robust demand growth and flatlining production in Brazil and Argentina. According to the International Energy Administration (IEA), gas demand in Latin America will increase by almost a quarter in the next five years, about half as fast as China, but largely in step with emerging Asia and the Middle East. Though gas production in Latin America, at 175 billion cubic meters (Bcm) currently exceeds consumption (164 Bcm), this sum belies large imbalances between gas-flush Andean nations and net importers in the Southern Cone. Unlike Europe and North America, where large pipeline networks deliver gas from areas of abundance to points of greatest need, Latin America’s complex geography has prevented the development of an integrated regional market. As a result, Chile, Brazil, and Argentina have rushed to build a network of expensive terminals to receive liquefied natural gas (LNG) and convert it back into a vapor that can be moved along domestic pipelines. Uruguay – which relies on Argentine gas for 100% of its domestic demand – has moved ahead with the construction of its first LNG import terminal amid falling Argentine production. And while Mexico also joined in the race, its proximity to the U.S. has allowed it to largely replace LNG with abundant and cheap US gas. 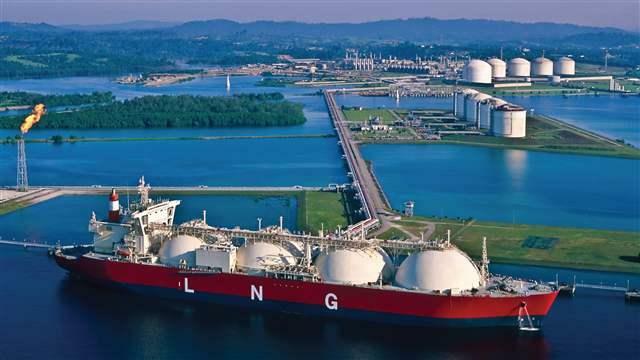 Although LNG is often less expensive than oil, the fuel is by no means cheap. In Argentina, LNG imports accounted for just a tenth of total domestic gas demand in 2013, but cost the country roughly US$5.5 billion, or 1 percent of GDP. In Brazil, where gas-fired generators are running year-round to prevent an impending power crisis, higher imports of LNG forced the government to bail-out of utilities to the tune of US$4.8 billion, although the Rousseff administration has conveniently arranged for private banks to pick up the tab. Yet geography can only go so far in explaining the region’s difficulties. Though Chile shares a border with Bolivia and Peru, Latin America’s largest gas exporters, political disputes make the prospect of exports all but impossible. A 2003 proposal to export gas from Bolivia to Chile set off a political and social crisis that brought down two presidents and fueled the rise of leftist candidate Evo Morales. The proposal’s unpopularity was due in no small part to lingering animosity from the 1879 War of the Pacific, during which Chile annexed Bolivia’s costal territories and cut off its access to the sea. Yet even expanded production will not necessarily boost regional supply. With the help of the World Bank, Colombia is currently constructing a US$300 million facility to convert excess gas from oil production into LNG. Yet if the case of Peru, which completed its own LNG export terminal in 2010, is anything to go by, Colombian exporters will most likely bypass Latin America to target premium gas markets in Europe and Asia. As incomes rise across the region, natural gas is bound to make up an increasing share of Latin America’s energy matrix, replacing coal in power generation and heating up homes and storefronts. LNG is already giving coal a run for its money in Chile, where long-term contracts have insulated the country from record spot-market prices while a new tax on coal makes LNG more cost competitive. Yet with global gas markets remaining tight, the next fix could leave Latin American importers more than a little strung out. Jesse Rogers is an energy analyst focusing on natural gas markets in Latin America. He previously worked as a finance and politics reporter for Impremedia and as a research assistant for Mexico City’s Centro de Investigación y Docencia Económicas (CIDE). Another excellent blog from Jesse Rogers, who illuminates so much in clear, crisp prose. I especially appreciate his linking of technical issues with political and cultural ones. I learned so much once again. And if global gas prices soften…?